Our design team have a wealth of experience working with local and global brands in creating signage that works for your image and advertising needs. We use the highest-quality materials, the best machinery and the most up-to-date techniques in manufacturing all of our graphics and signage. We have invested in backup machinery to ensure we never let a client down. 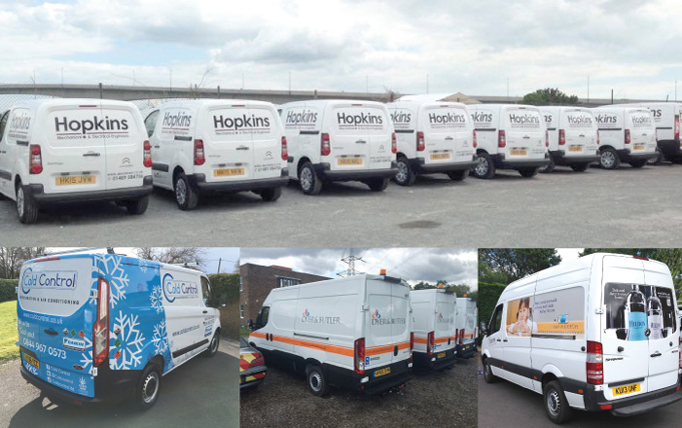 Our fitting teams are well rehearsed in working in different environments and time constraints. Either bring the vehicles to our fully prepared facility, or we can come to you. Vehicles endure a lot, and sometimes accidents happen. All our work is stored on secure servers and is ready to re-manufacture if a repair is needed. We pride ourselves on providing a cost-effective, reliable service. Colours & Designs To Fit Your Brand. Most colours are already available in our vinyl stock, but speciality colours can be delivered to ourselves by the next working day. Our vinyls are 7-8 year removable, designed to be durable and provide longevity whilst retaining the ability to be removed up until 8 years after application date. For more information about our vinyl stock or specific requirements ask a member of our team. The highways guidelines dictate ‘All vehicles stopping on the highway for works purposes or inspections’ should have high visibility signage applied. Full technical details can be reviewed on the government website. High-visibility signage can also be applied within your own specs for non-highways use, or even just for show. 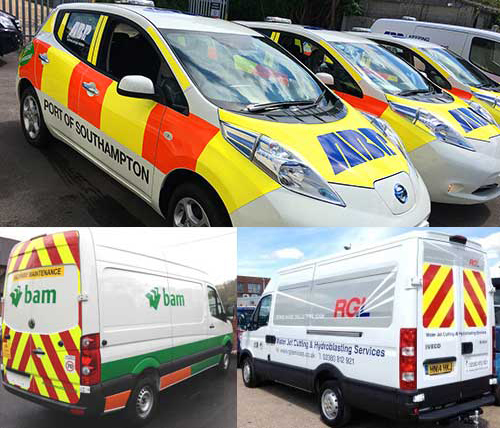 We have written a broad spectrum of vehicles for different levels of visibility and technical spec, please contact one of our team today for advise or prices.